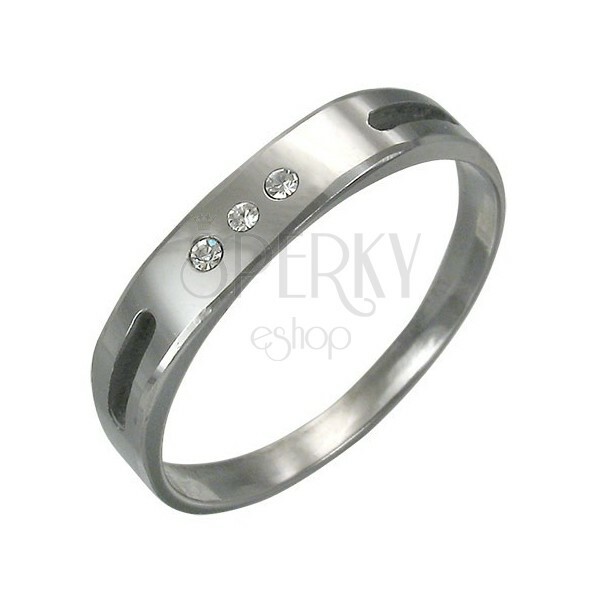 A ring made of tungsten carbide - beautiful ring for women in dark color with three zircons. 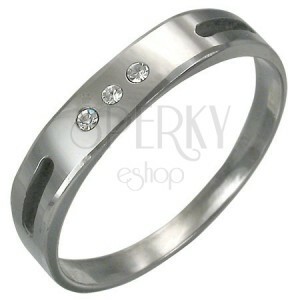 A tungsten ring for women - narrow elegant ring in dark metal color decorated with two sections and three clear zircons. Silver bracelet made of tungsten - double stripes and letter "H"